Posted by Cary W Porter on Tuesday, April 2nd, 2019 at 11:28am. And that’s where The Cascade Team — in partnership with the Children’s Hospital Guild Association and several area merchants — comes in. Throughout the month of April, agents from The Cascade Team will be walking neighborhoods and spreading the word about Project Crayon Drive. We Invite You To TAKE PART IN OUR 14TH ANNUAL PROJECT CRAYON DRIVE! 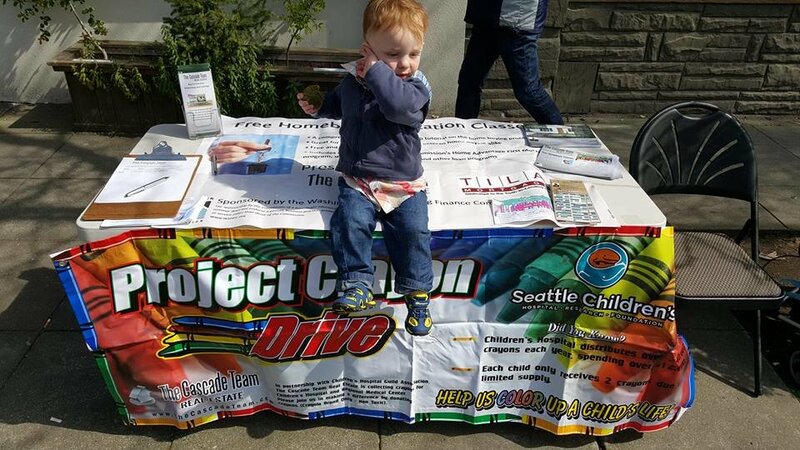 THROUGHOUT THE MONTH OF APRIL, AGENTS FROM THE CASCADE TEAM WILL BE WALKING NEIGHBORHOODS AND SPREADING THE WORD ABOUT OUR 12TH ANNUAL PROJECT CRAYON DRIVE IN SUPPORT OF SEATTLE CHILDREN’S HOSPITAL. LAST YEAR, WE COLLECTED OVER 210,000 CRAYONS AND WE WOULD LOVE TO BEAT THAT AMOUNT THIS YEAR! VARIOUS CRAYON DRIVES WILL BE HELD ON WEEKENDS THROUGHOUT THE MONTH OF APRIL. We’re currently finalizing a list of QFC and Safeway locations for this event so keep checking back for more information! YOU CAN ALSO DROP THEM OFF AT UMPQUA BANK IN ISSAQUAH, POINT ESCROW, AND OUR MAIN OFFICE ON GILMAN BLVD IN ISSAQUAH. 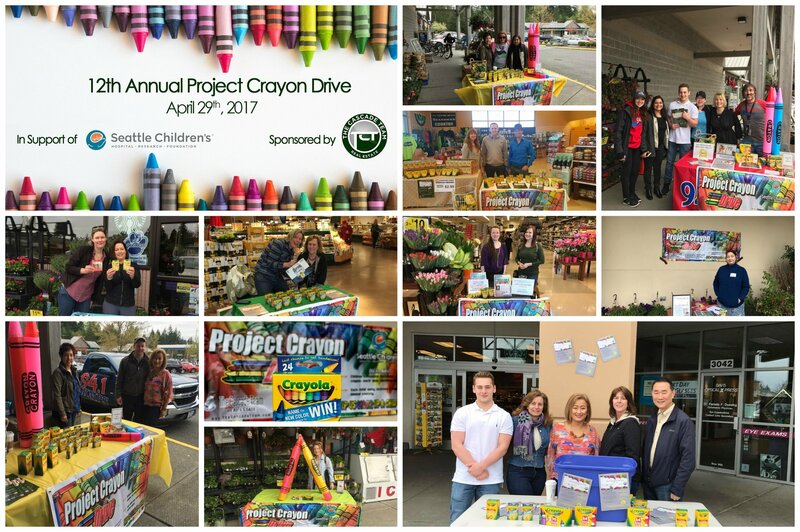 IF YOU WOULD LIKE MORE INFORMATION ON PROJECT CRAYON DRIVE, INCLUDING DROP OFF TIMES AND LOCATIONS NEAR YOU, PLEASE CALL 425-313-4752. Come and show your support of Seattle Children's Hospital by donating a box of Crayola Crayons! Below are some pictures from our Crayon Drive of years past! The Cascade Team Real Estate was founded in 2006 in Issaquah by Cary Porter and Doug Young. Since then the team has grown to over 20 offices in six (7) states (Washington, Colorado, Idaho, California, Oregon, Indiana and Arizona) and approximately 300 agents. Community service is an integral part of how we believe business should be done. The Cascade Team can be found participating in a variety of community service events including holiday horse-drawn carriage rides, “Green Halloween”, Project Crayon Drive and several local and city parades.